A classic novel of the 1960s, this powerful story about life in a mental hospital is told by a half-Indian patient called Chief Bromden. The Chief will not talk, and he has deceived the staff into thinking him deaf and dumb; but through his self-imposed protective fog he is an acute observer. To him the head of the ward, known as Big Nurse, is the very source of evil, destroying men’s wills and reducing them to mindless obedience. 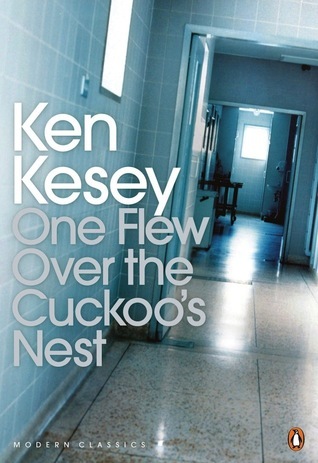 Soon a lustful, brawling, life-loving new inmate, Randle Patrick McMurphy, alights in this cuckoo’s nest. Horrified by the rule of Big Nurse, McMurphy resolves to oppose her. What happens when she is forced to use her ultimate weapon against him provides the story’s shocking climax. What impressed me about this book, is the references to mental illness in a way that makes it clear what it really feels like. Obviously it differs per person, but this book has a great way of visualizing it. Other people to represent the evils and fog that he cannot see through to show the disconnect to the rest of the world. The story itself isn’t always too interesting. It gets long-winded and repetitive at times, but the message is so great that it’s easy to look past the very few parts that made me feel that way. The ending of the novel clearly showed that in the end, we are all people: mental illness or not, people are people.